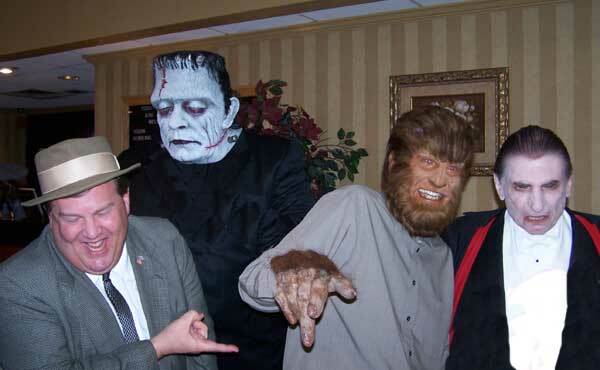 The Monster Bash 2009 featured Guests of Honor Gary Conway, Donnie Dunagan, Janet-Ann Gallow, Butch Patrick, Lou Ferrigno, Richard Gordon, Chill Billy Cardille, David "The Rock Nelson," Son of Ghoul, Penny Dreadful and many others! Photos provided by Barb Heiss, Kevin Slick, Phil Smoot, Geoffrey Curtis and others - thank you! Joe DeMuro (under Ron Chamberlain Make-Up) with Janet-Ann Gallow and Bob Pellegrino. An Amanda Frankenstein (really!) 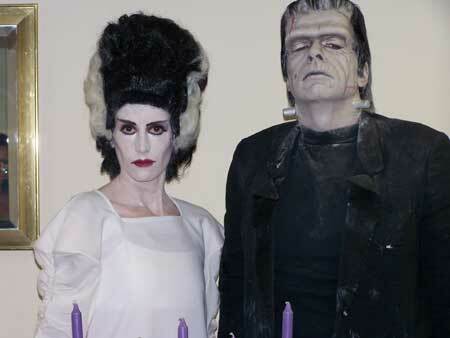 as The Bride and Joe DeMuro as The Monster. Make-ups by Ron Chamberlain. 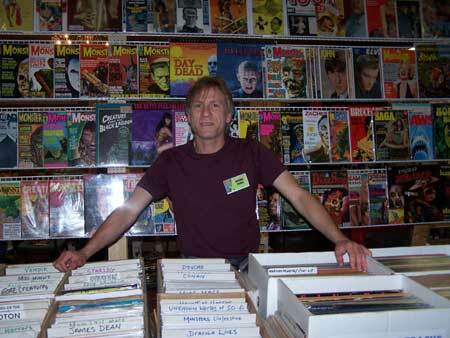 King of the Magazines - dealer Michael Pierce from MONSTERS AMONG US! 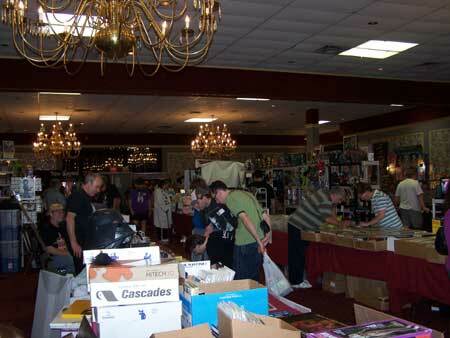 A slice of the Dealer Ballroom at Monster Bash ! 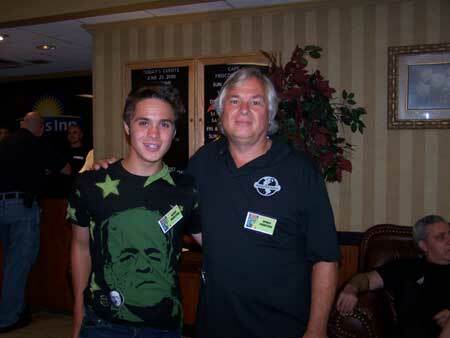 Dylan and Dennis Druktenis (Scary Monsters!) at Monster Bash. 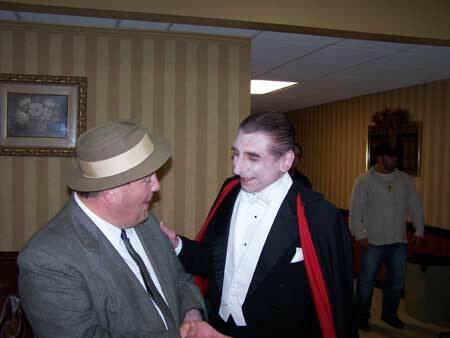 Lou Costello (Joe Zeigler) and Dracula (Michael Thomas) in the lobby Saturday night! 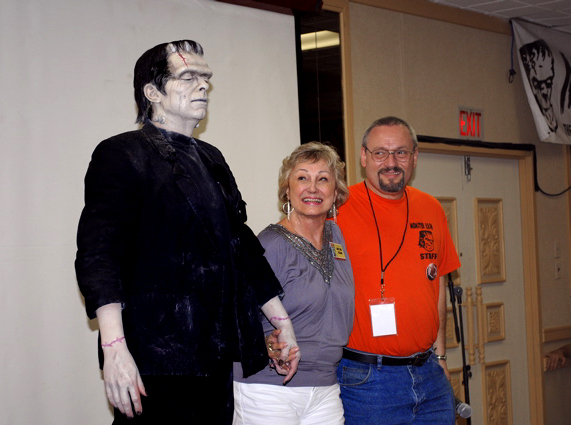 Barb Heiss, one of the recipients of "The Forry" Monster Bash Award for 2009! 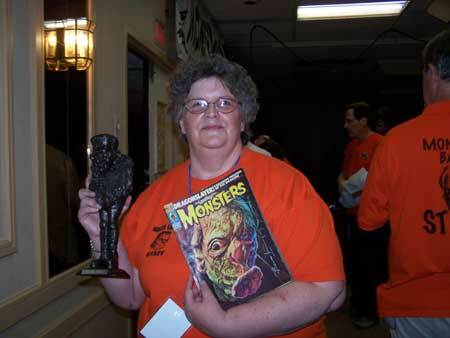 She's holding a copy of Famous Monsters magazine that was deidicated to her by Forry Ackerman. 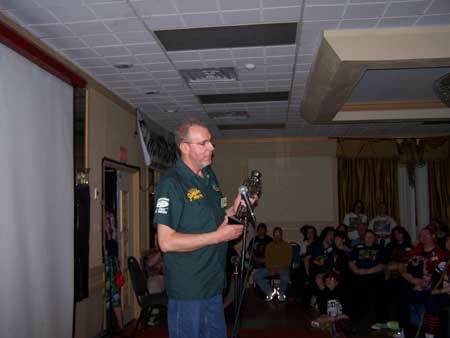 Jim Clatterbaugh, publisher of MONSTERS FROM THE VAULT gets his own "Forry Award" for a lifetime of contributions to our Monster World. 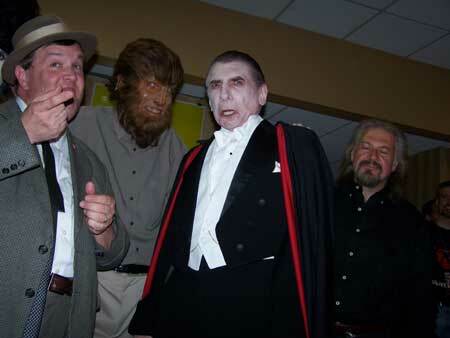 These guys came out in front of the giant outdoor screen on Saturday night - Lou Costello (Joe Ziegler), Frankenstein's Monster (Daniel Horne), The Wolf Man (Ron Chaney - Lon Jr.'s grandson!) and Count Dracula (Michael Thomas). Teenage Frankenstein (Michael) and Barb Heiss get choked up over old times. 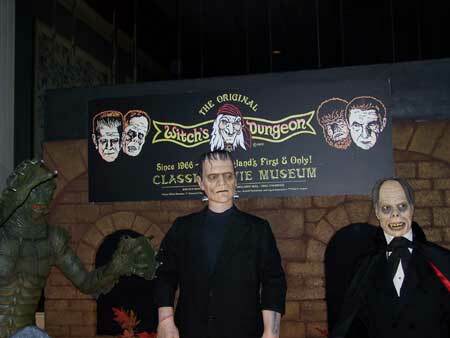 A part of Frankenstein's Mad Lab in the Bash lobby, constructed by Dan Zanol and Ken Kramer. Z-z-z-z-zittt! 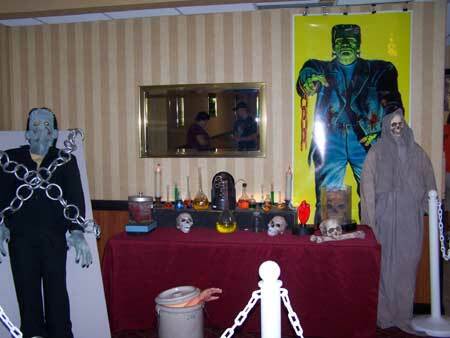 The Witch's Dungeon display for 2009 in the Dealer Ballroom thanks to Cortlandt Hull and Dennis Vincent! Joe Zeigler, Ron Chaney, Michael Thomas and Ro Chamberlain having a montrous time Saturday night. 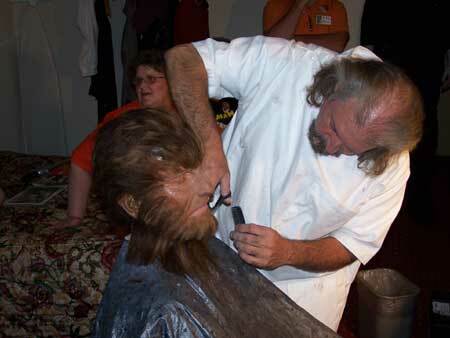 Ron Chamberlain creating a werewolf out of Ron Chaney (it's in his blood anyway!). 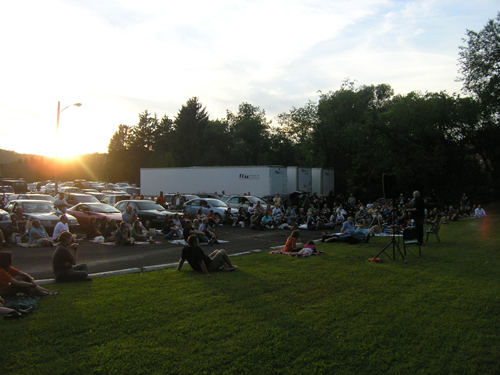 The first two of fifteen rows of vehicles for our outdoor Monster Bash Drive-In on Saturday night! 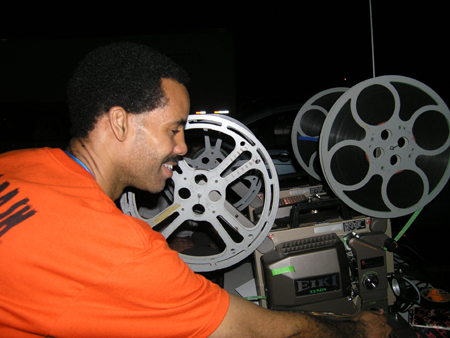 Ace projectionist Geoffrey Curtis sets up automatic reel change machines for our outdoor drive-in features. 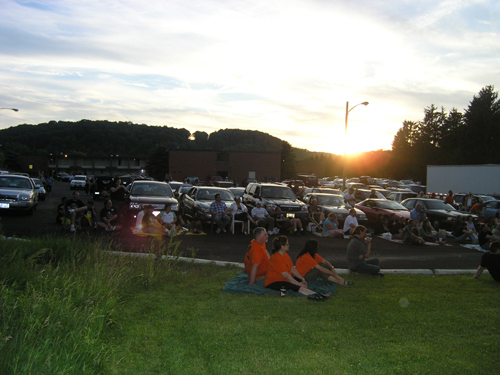 Cars lined-up for the Monster Bash Drive-In. 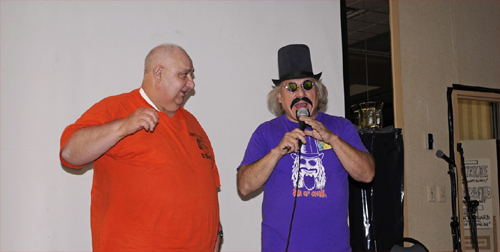 Tom Adams makes a guest appearance as Curly Joe with Son of Ghoul during a Three Stooges discussion. Son of Ghoul does play-by-play as, of course, the pies start flying. It's Moe Howard impersonator, Jay Novelli, slamming a pie into Tom Adams after the "Left, no right Routine." 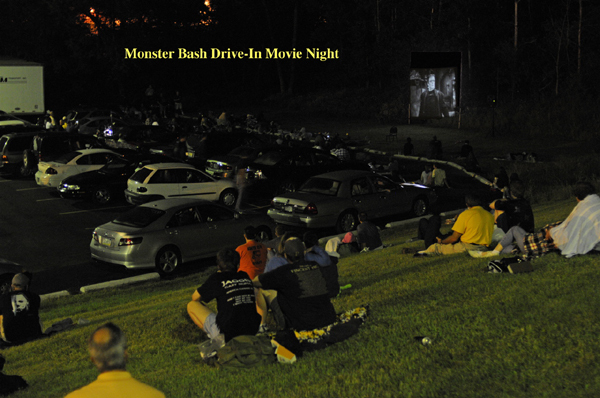 More Photos from Monster Bash 2009 - CLICK HERE!